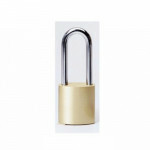 The Schlage KS43D2300 is a Brass 1-1/2” shackle clearance padlock. Standard C Keyway Width –.. 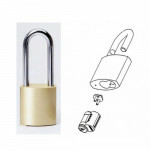 The Falcon 955-2 is a Deadlocking Padlock with 2” shackle in 606 finish. Falcon catalog A pi.. 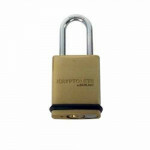 The Corbin Russwin PL5000R is a 7/8” or 2-5/8" Shackle Rekeyable Fixed Core Padlock. Shackl.. 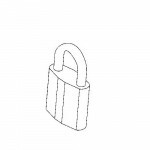 The Corbin Russwin PL5080-258 is a 2-5/8” Shackle, 6-Pin Interchangeable Core Padlock. PL5080 pa..